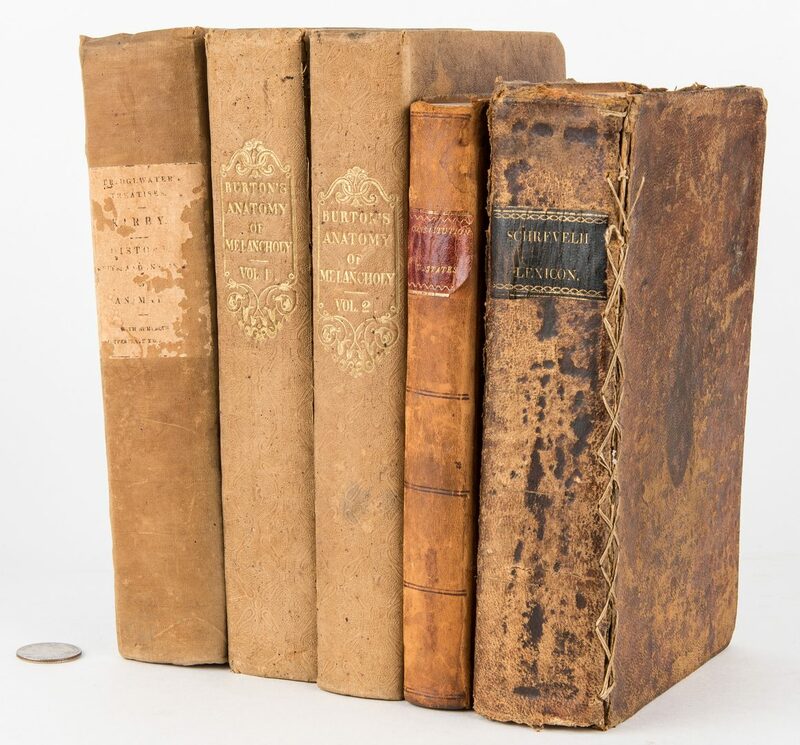 Five (5) books owned by Abram Maury (1766-1825), founder of Franklin, Tennessee, and son Abram Poindexter Maury (1801-1848) including Maury's copy of the Declaration of Independence and U.S. Constitution; Bridgewater Treatise (Kirby); Burton's Anatomy of Melancholy (2 vols), and Schrevelii Lexicon. 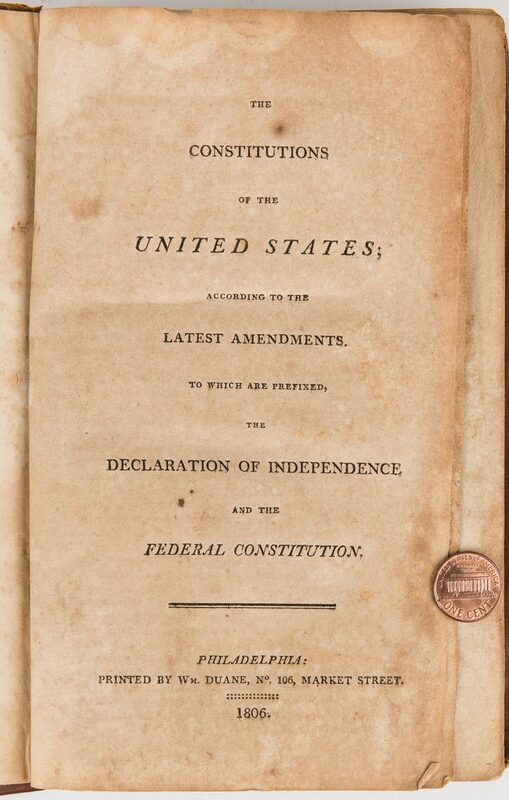 1st item: The Constitutions of the United States; According to the Latest Amendments. 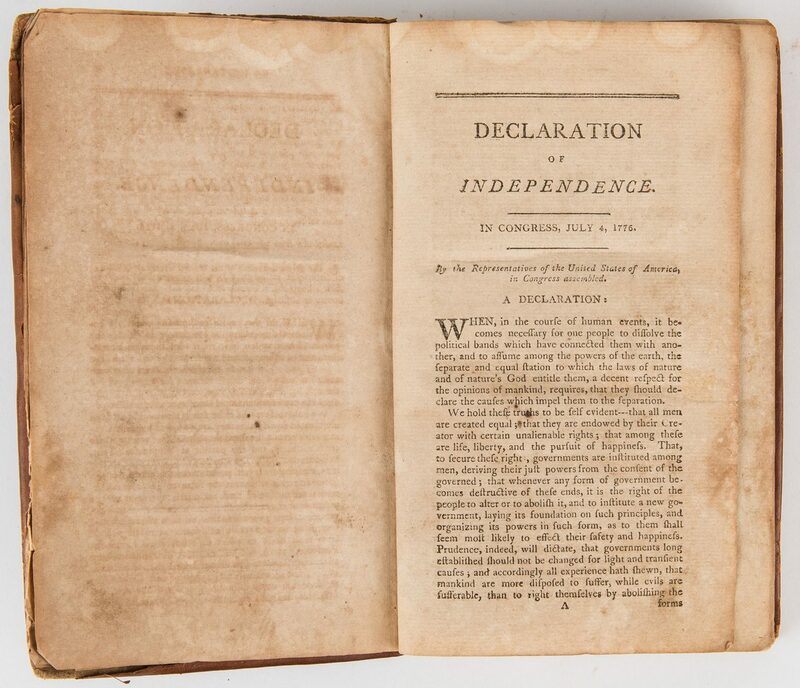 To Which are Prefixed, the Declaration of the Independence and the Federal Constitution, 1806. 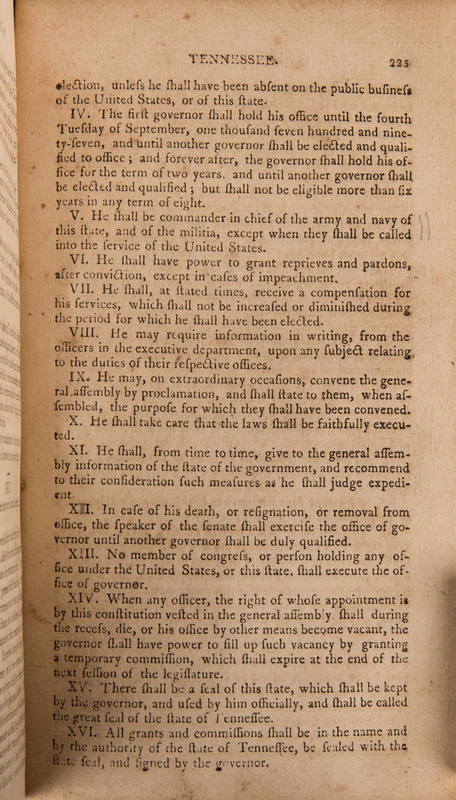 Printed by William Duane, Philadelphia. 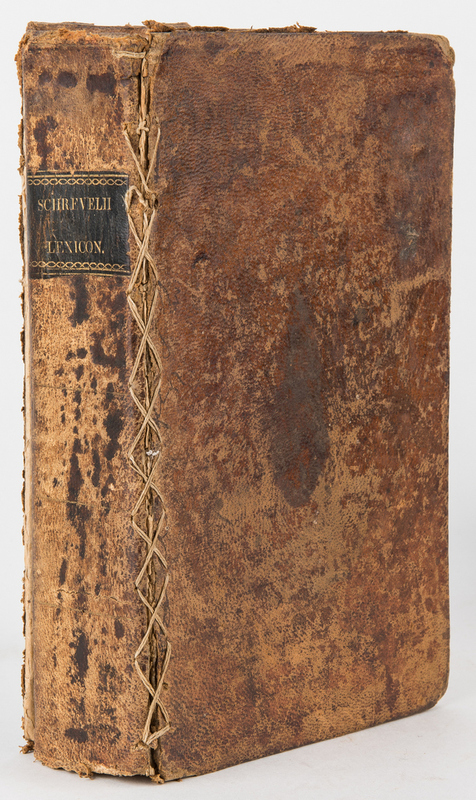 Octavo, 307 pages, hardbound in tooled brown tree calf leather, gilt lettering to spine. 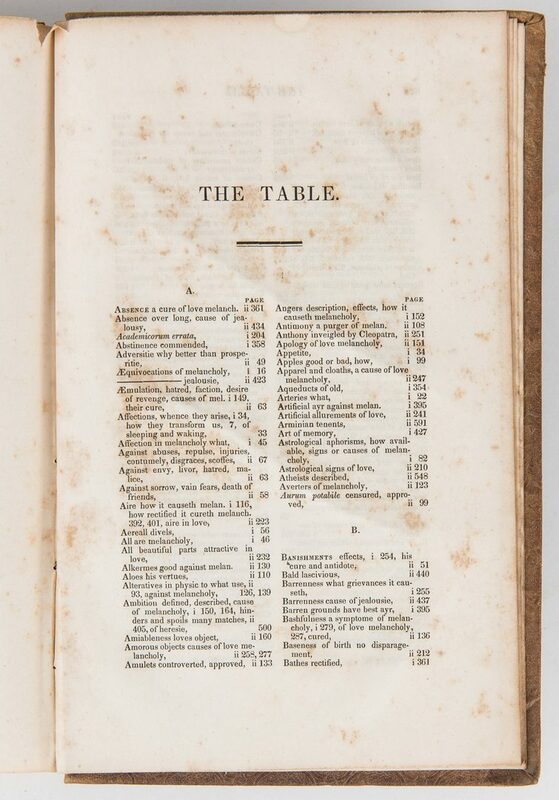 8 3/8" H x 5 1/8" W x 1 1/2" D. 2nd item: The Bridgewater Treatises On The Power, Wisdom and Goodness of God, As Manifested in the Creation of Animals, and in Their History, Habits and Instincts by the Rev. 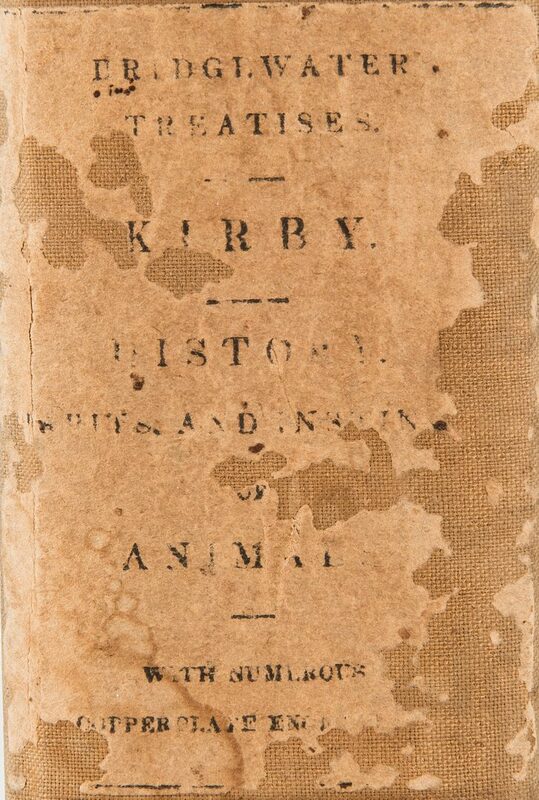 William Kirby, M.A., F.R.S., etc., Rector of Barham, 1836. 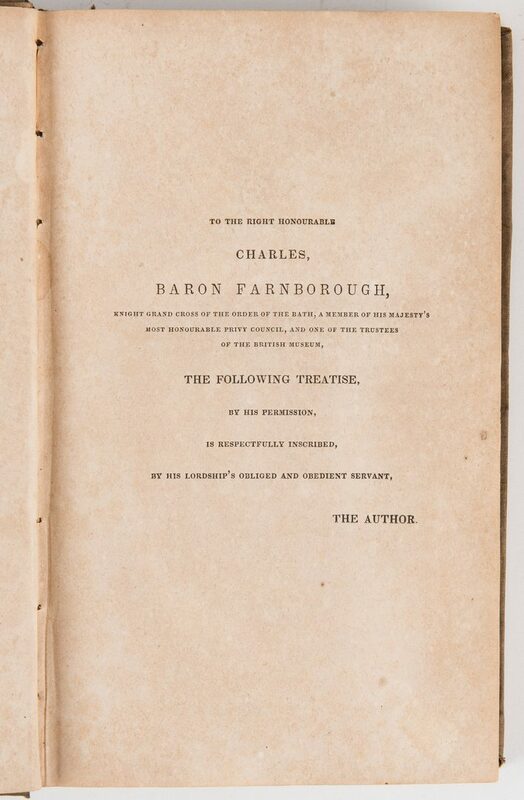 Published by Carey, Lea & Blanchard, Philadelphia. Octavo, 519 pages including twenty (20) engraved plates, back advertisements, hardbound in tan cloth with paper title label to spine. 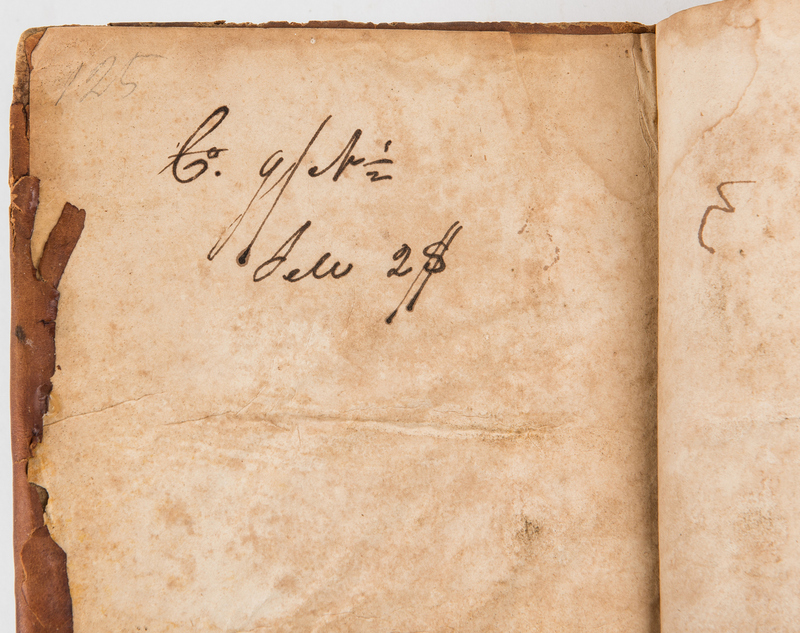 Ink inscription reading "A.P. 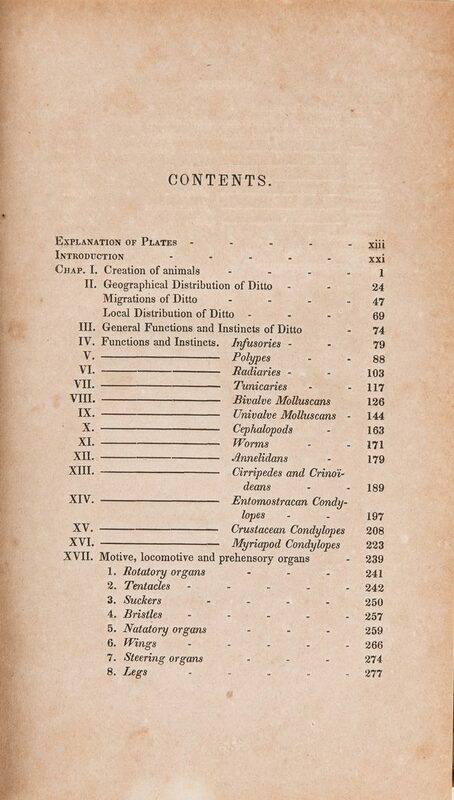 Maury", top right of introduction page. 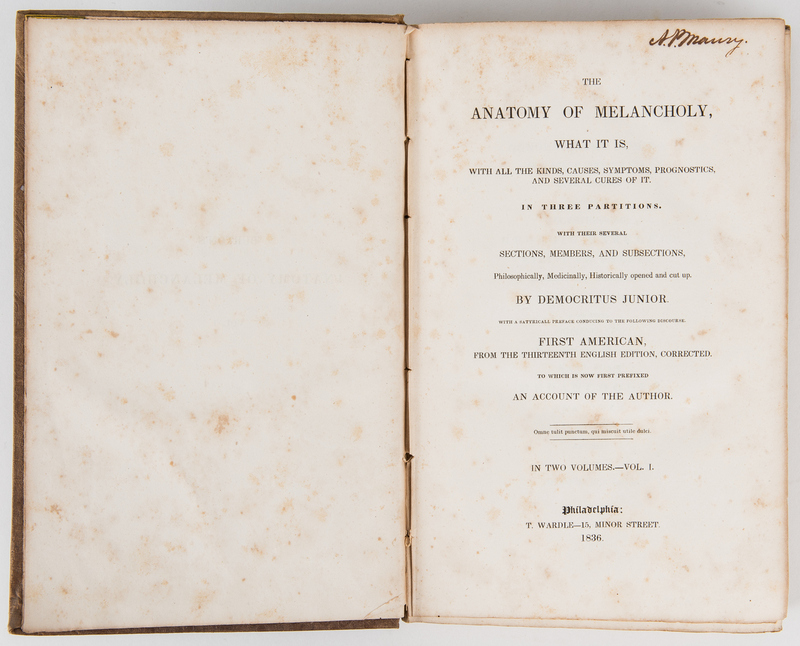 9 1/4" H x 5 7/8" W x 2" D. 3rd-4th items: The Anatomy of Melancholy, Vol. 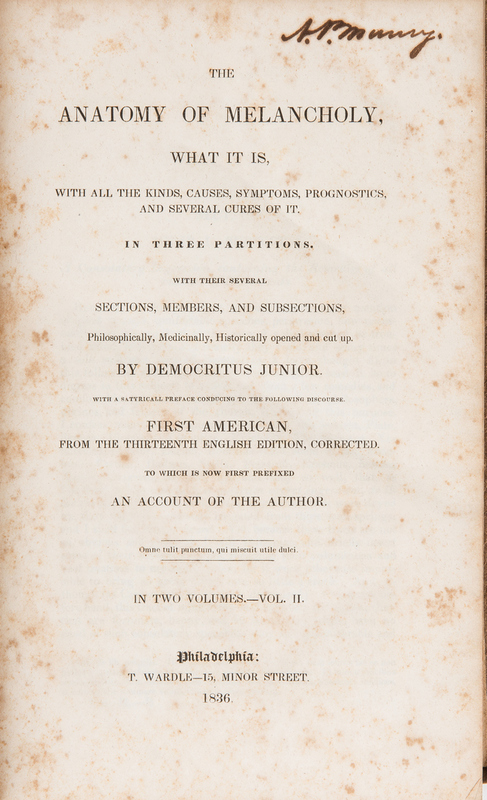 I-II, First American Edition, by Democritus Junior, 1836. 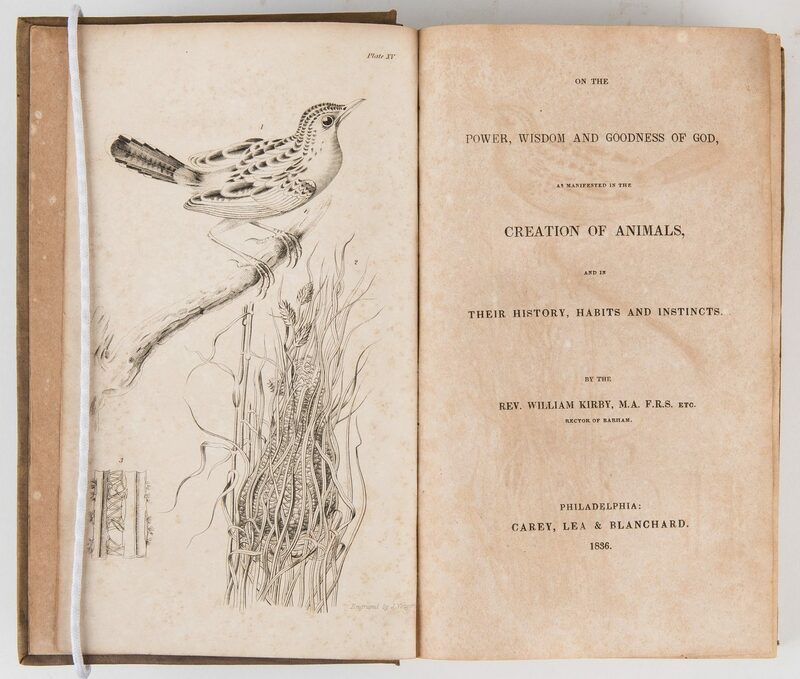 Published by T. Wardle, Philadelphia. 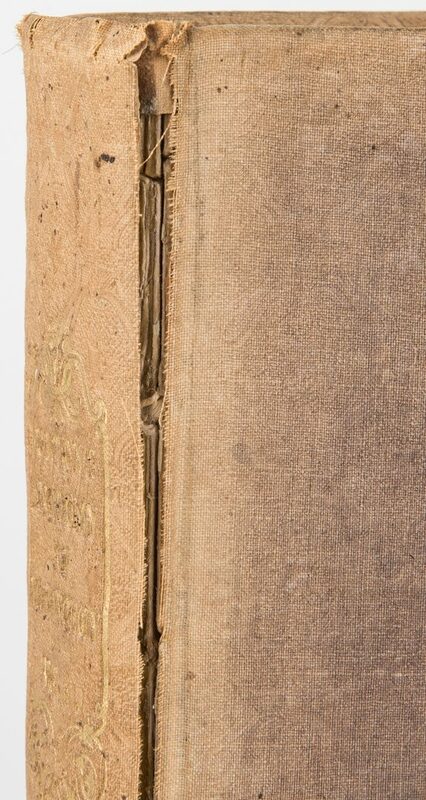 Octavos, 1,073 total pages, hardbound in tan cloth with blind stamps to covers and gilt lettering to spines. Ink inscriptions reading "A.P. 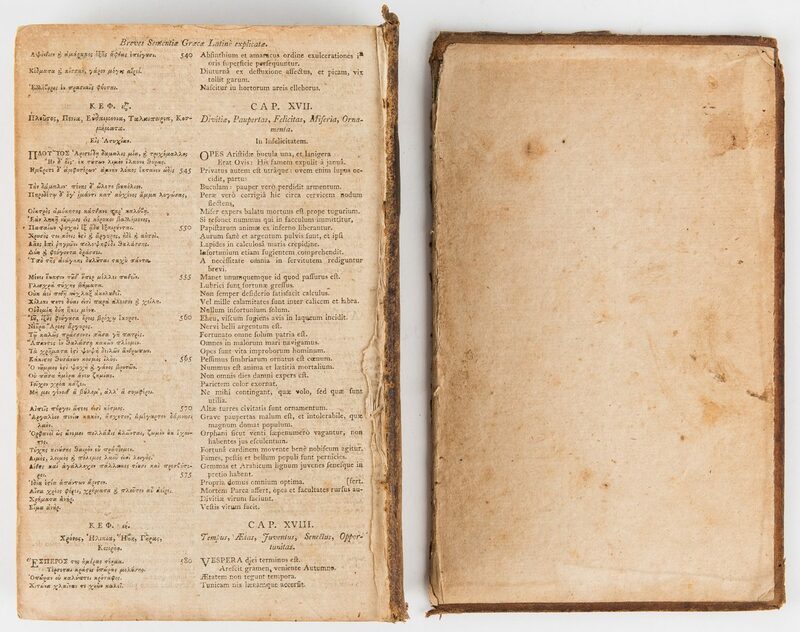 Maury", top right of both title pages. 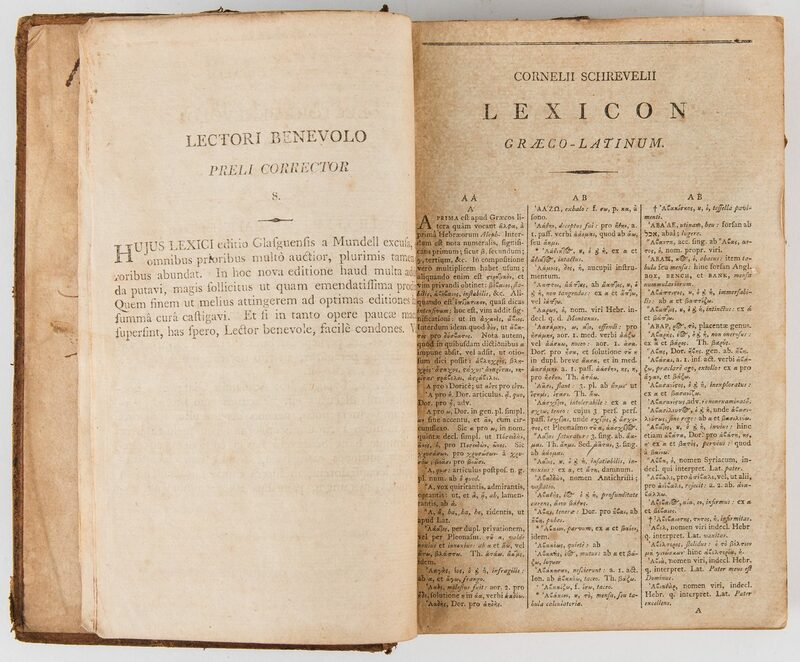 Books approximately 9 1/4" H x 6 1/8" W x 1 5/8" D. 5th item: Lexicon Manuale Graeco-Latinum et Latino-Greacum by Cornelis Schrevel, 1805. Published by C. Stewart, Academiae Typographus, Edinburgh. 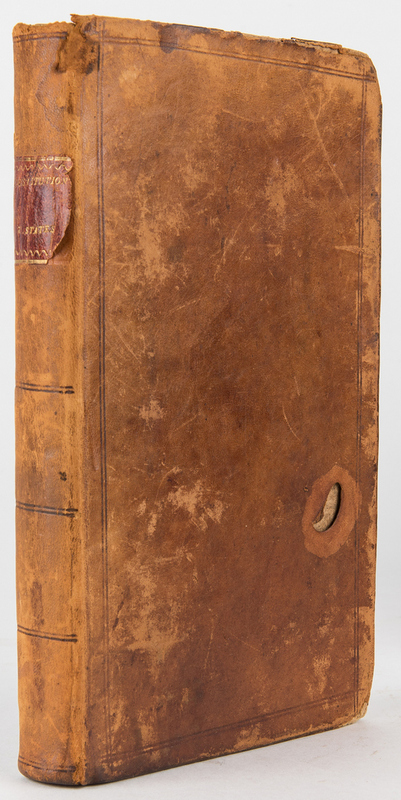 Octavo, approximately 800 pages, hardbound in brown leather with gilt lettering to spine. 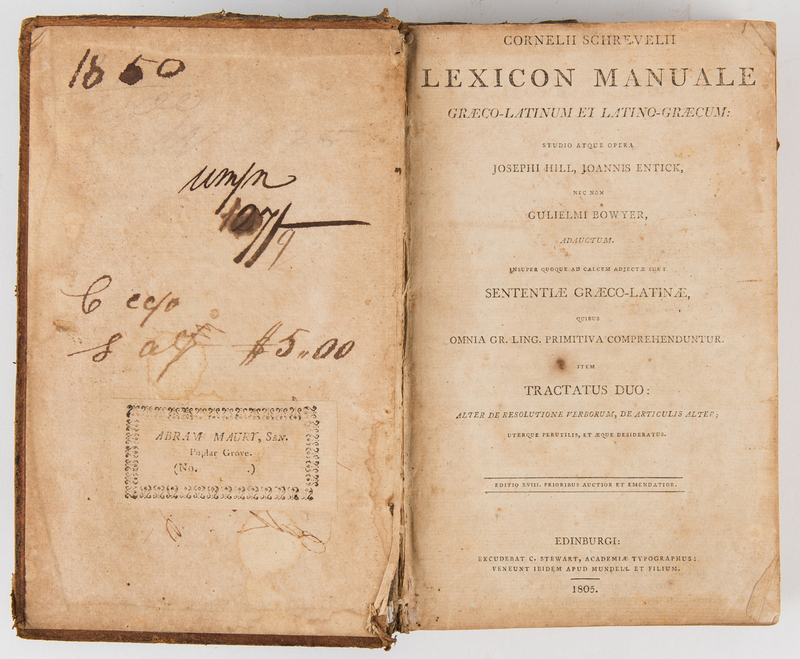 Abram Maury ex libris book plate, ink inscriptions including 1850 date, inside of front cover. 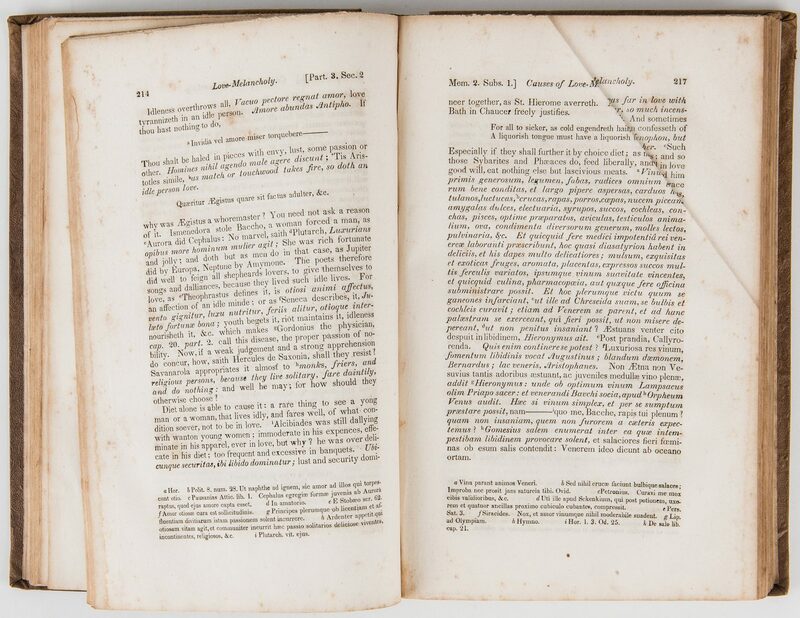 8 1/2" H x 5 1/2" W x 2" D. All items early 19th century. 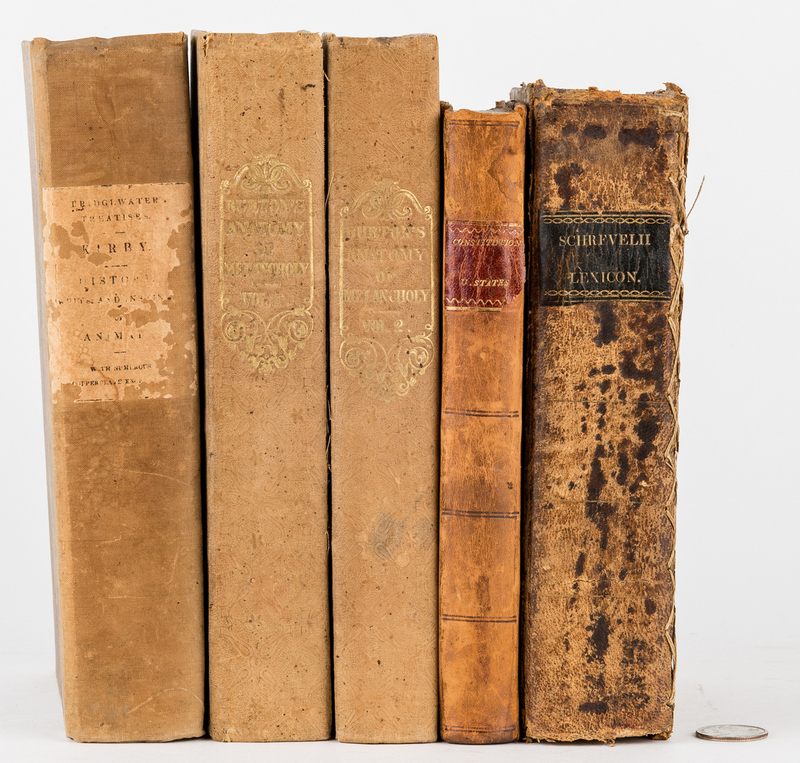 Provenance: Consigned by a direct descendant of Abram Maury. Note: Maury, a pioneer and surveyor, served as a Major in the Revolutionary War before moving to Middle Tennessee in 1797. 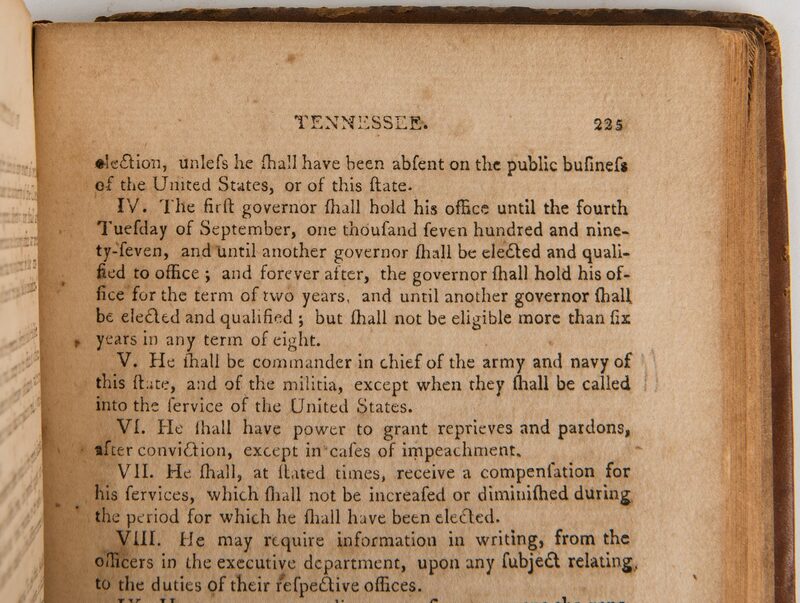 In 1799 he donated his land in Williamson County and laid out the town of Franklin. He spent many years representing Williamson County in the state legislature. Maury County in Tennessee is named for him. His son, Abram Poindexter Maury, was a U.S. Congressman and Nashville newspaper editor. 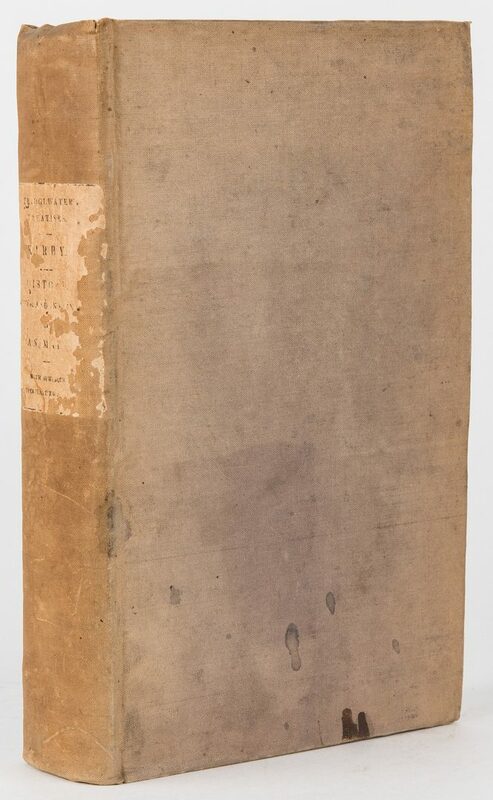 CONDITION: 1st item: 3/4" x 1/2" gouge to lower right corner of front cover. Covers with wear, rubbing, areas of loss to leather, corners bumped. 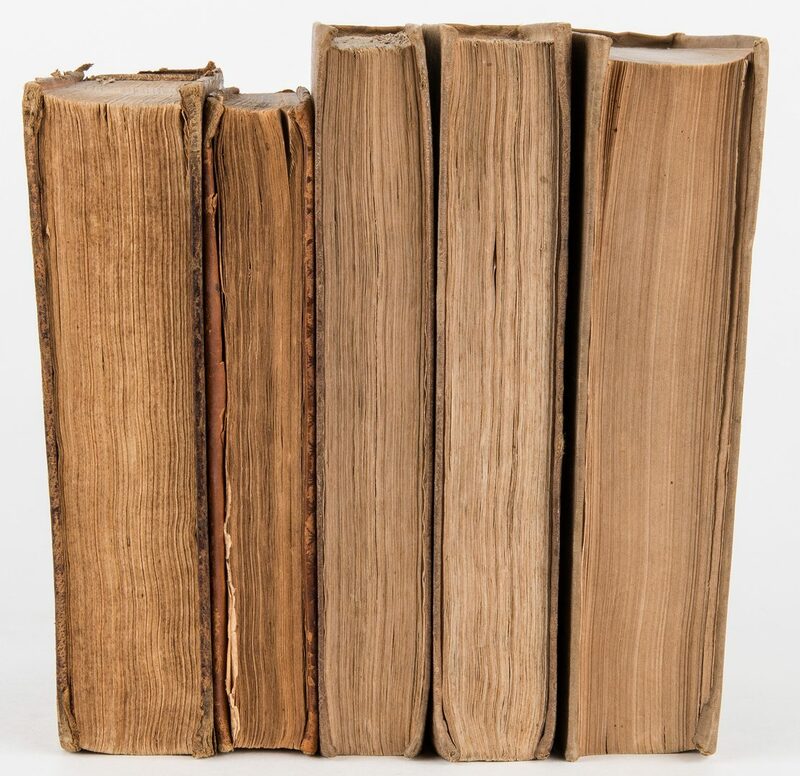 Pages with wrinkling, toning, foxing spots, areas of dampstaining to be expected from age. 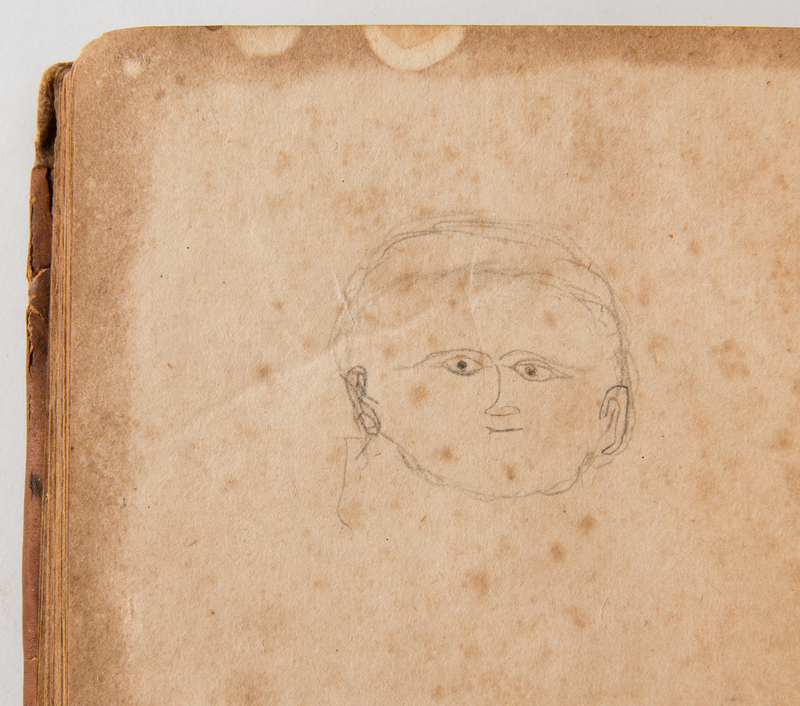 Ink and pencil inscriptions, inside of front cover and back end paper. 2nd item: Covers with wear, rubbing, stains, corners bumped. 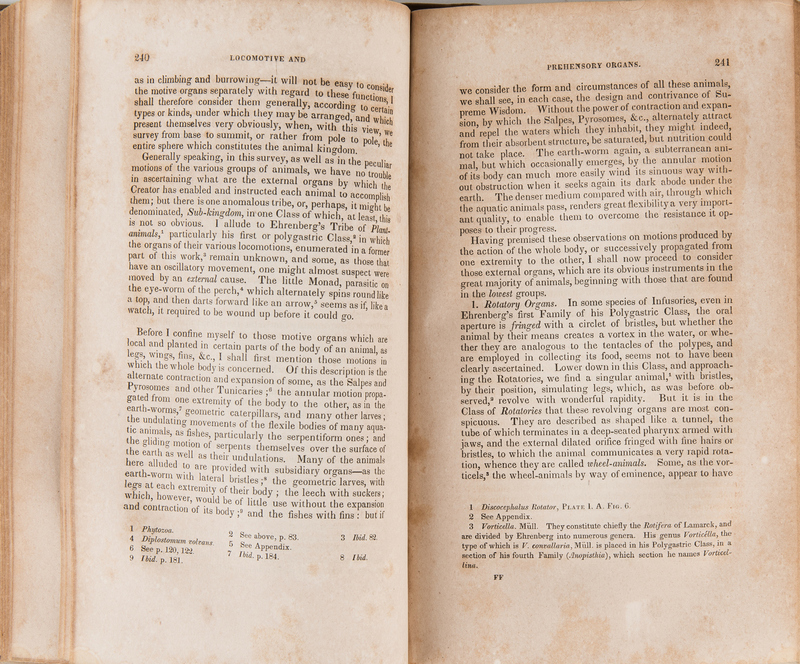 Pages with toning/acid burn, foxing spots, areas of dampstaining to be expected from age. 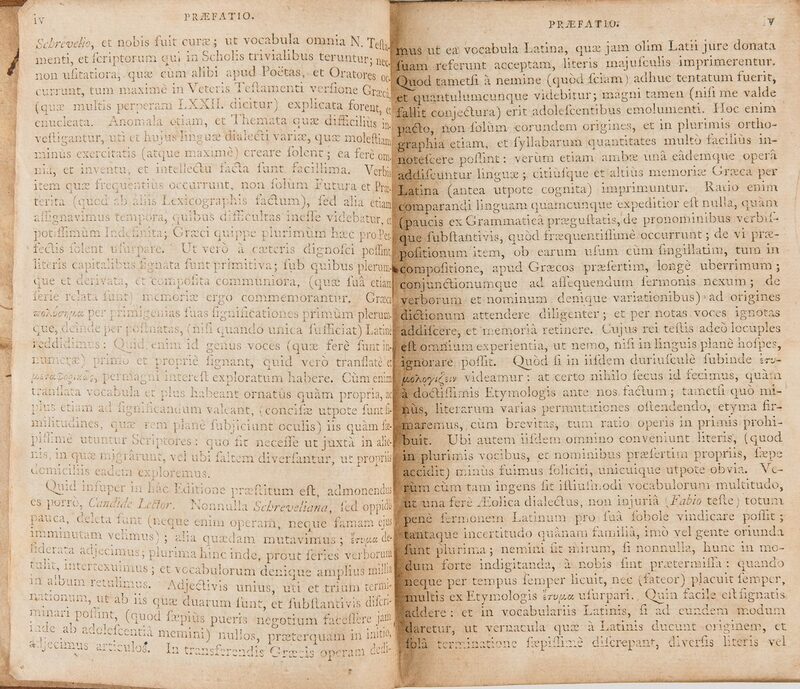 Plates I B and II are separated from binding, plate XV is frontispiece, does not include plate XVI, includes plate XVII not mentioned in the Explanation of Plates section. 3rd-4th items: Covers with wear, rubbing, stains, corners bumped. Pages with toning/acid burn, foxing spots, areas of dampstaining to be expected from age. 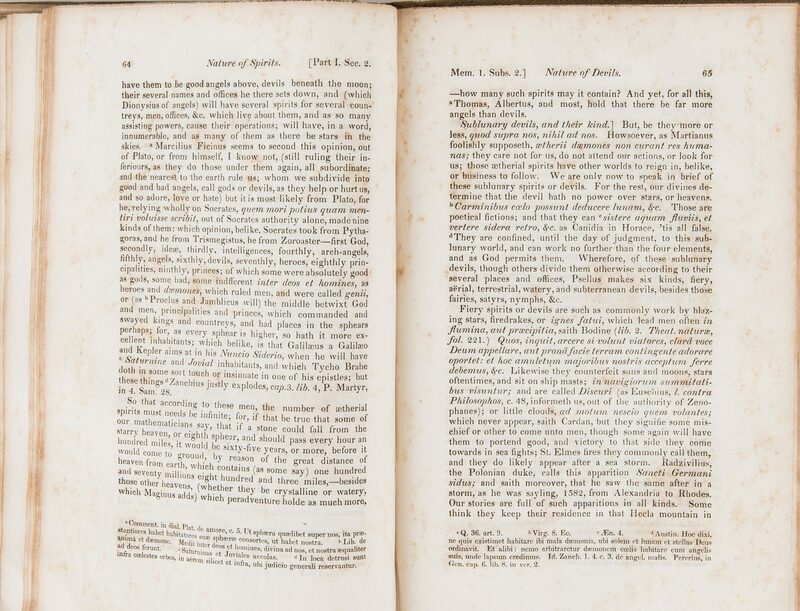 Ink inscriptions reading "A.P. 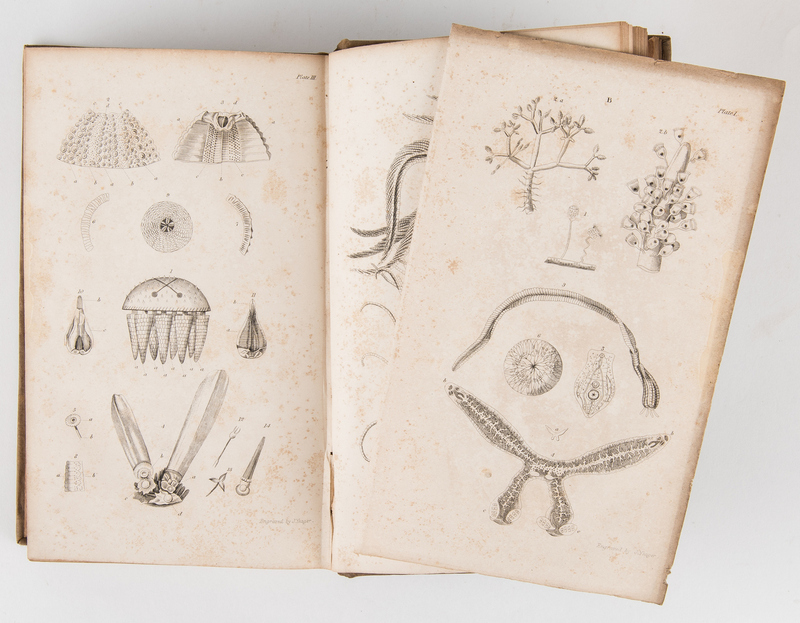 Maury", top right of both title pages, retail pencil inscriptions, front end paper of Vol. I. 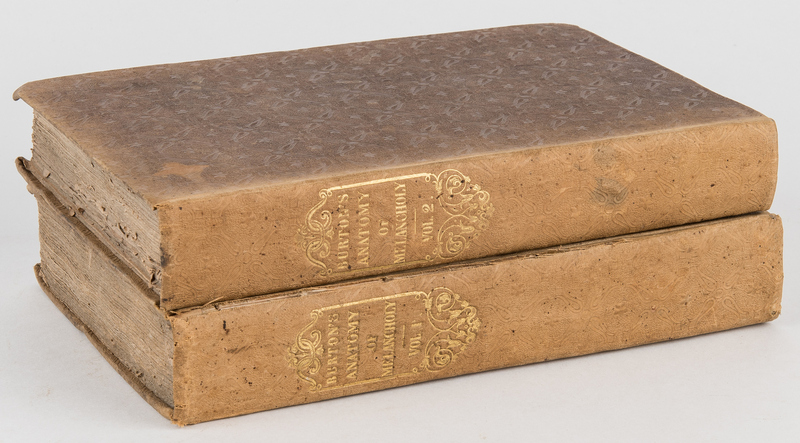 Both books with retail book plates, top left corners, inside of front covers. 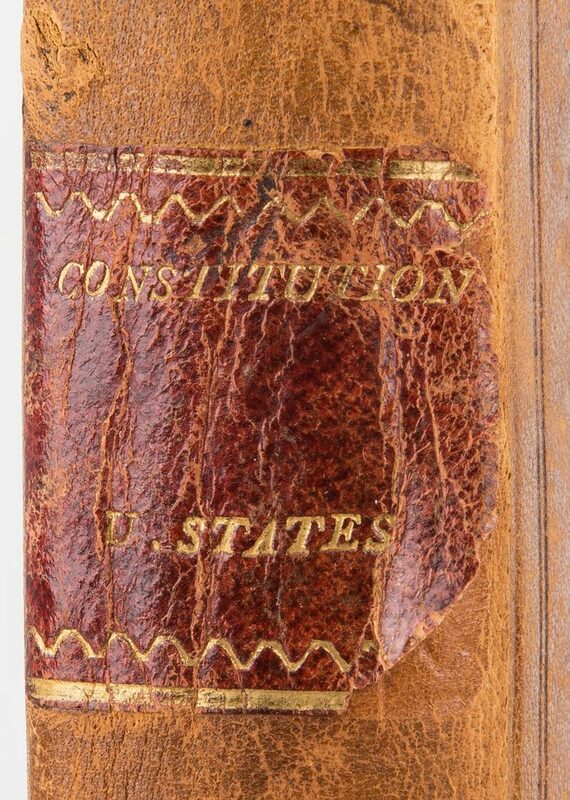 5th item: Covers with wear, rubbing, areas of loss to leather, corners bumped. 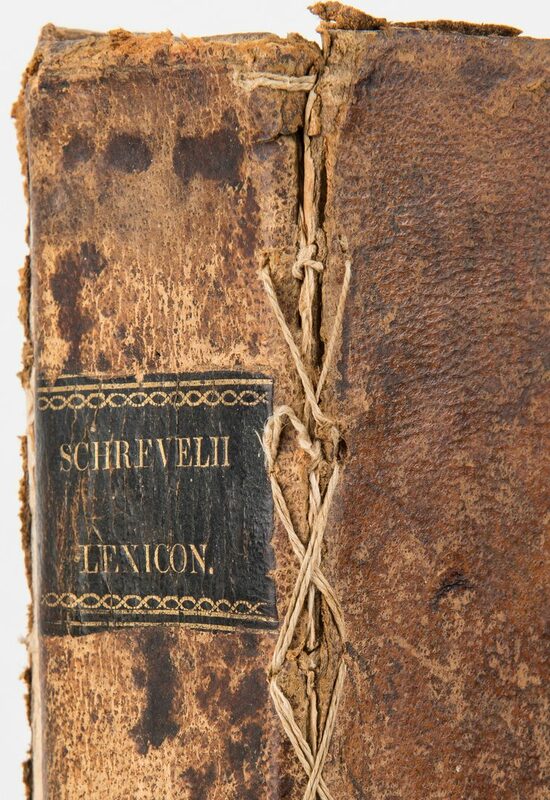 Old stitching repair to hinge of front cover, back cover is separated from spine. 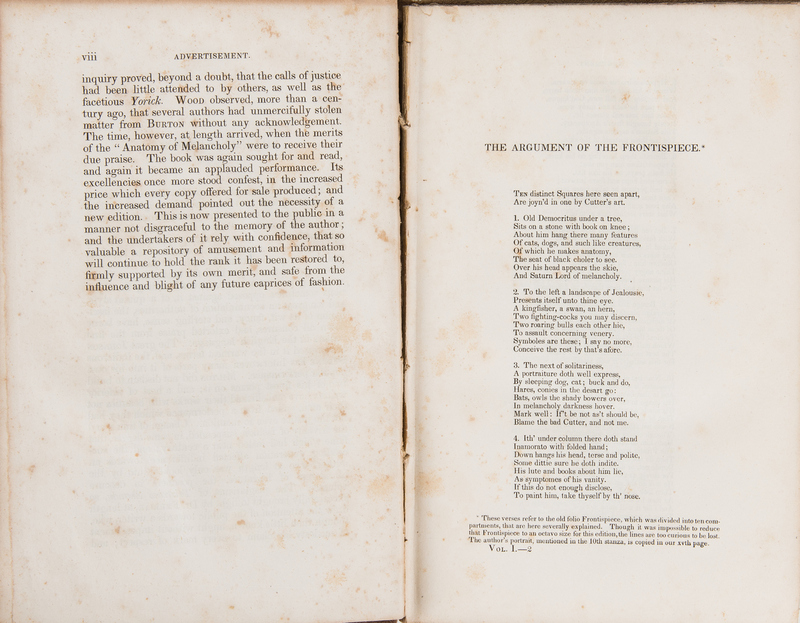 Pages with toning, foxing spots, areas of dampstaining to be expected from age. Some back pages appear to be missing. 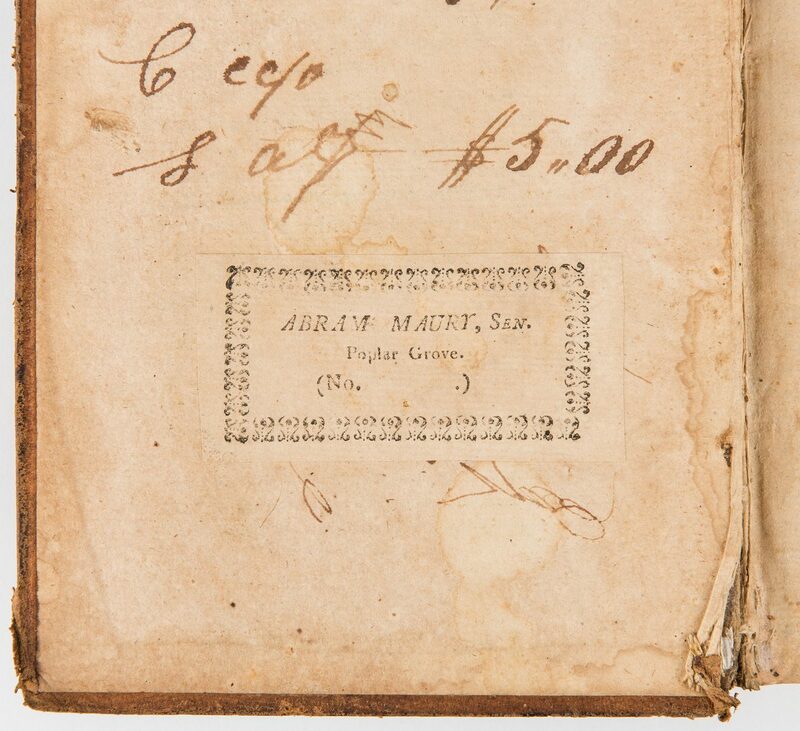 Abram Maury ex libris book plate, ink inscriptions including 1850 date, inside of front cover.